Innovation is at the core of our sustainable business. We are now introducing the new SS-Tech jackets. 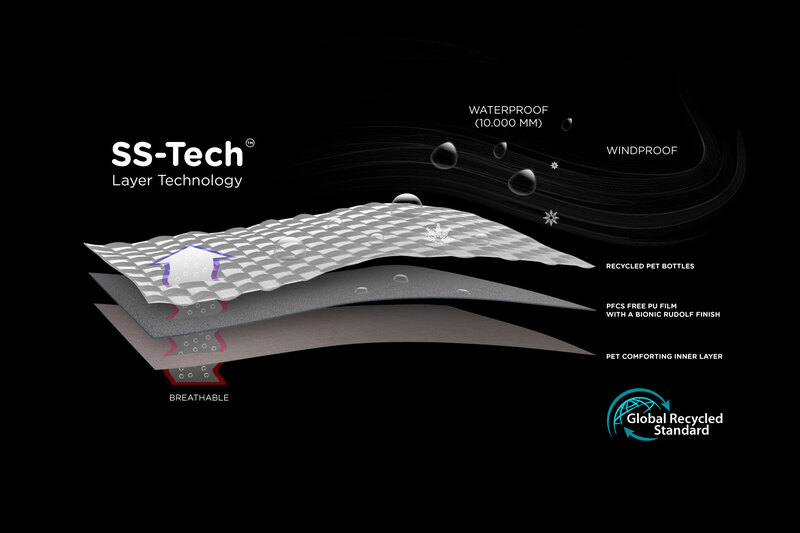 The jackets are made of 100% recycled polyester and follows our newest technology, the SS-tech™. Autumn is here and to offer you maximum comfort through the whole year, we have launched our all-year weather jackets. 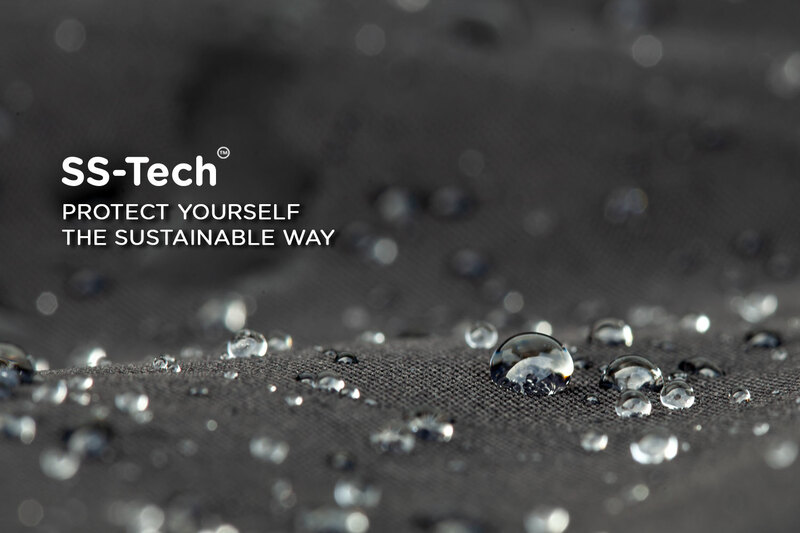 The SS-Tech™ jackets are made in accordance with GRS(Global Recycle Standard) certification and belong to label grade 1. Label grade 1 is achieved by producing the jacket according to GRS certification with the corresponding label on the product. To produce the 100% recycled polyester, we used cleaned plastic bottles from waste stations and turned them into the new collection. Isn’t it nice to know that your neighbor’s, or even your own waste, could be used as a valuable resource? By processing the post-consumer waste into new products, we are able to show the world that plastic is not necessarily bad. What matters the most is what you do with plastic and how you use it. Advocating that philosophy, and using our business to reach out to larger audiences, is our mission in order to influence more people to join the Superstainable way of living. The lamination (membrane) of the new jackets is made of PFCS-free PU with “Bionic Rudolf Finish” to achieve the high functionality of the jacket. The inner layer is made of soft polyester which gives comfort and warmth when wearing it. Due to the inner layer of the jacket, we have achieved water and wind resistance measured as 10.000 mm which makes the jacket fully waterproof. The high breathability (“moisture vapor permeability”) measured as 5000 mm guarantees the comfort. This jackets keeps you warm, comfortable and protected from all kinds of weather. Using such sustainable technology to produce the new jackets makes them highly functional. Click the button below to pre-order it now.